--------------------> Bantam chickens are simply small sized poultry. Tiny bits o' chicken. There are many different bantam poultry breeds. Hens will lay adorable tiny eggs! I breed these birds specifically for their sweet temperament & beautiful composition. 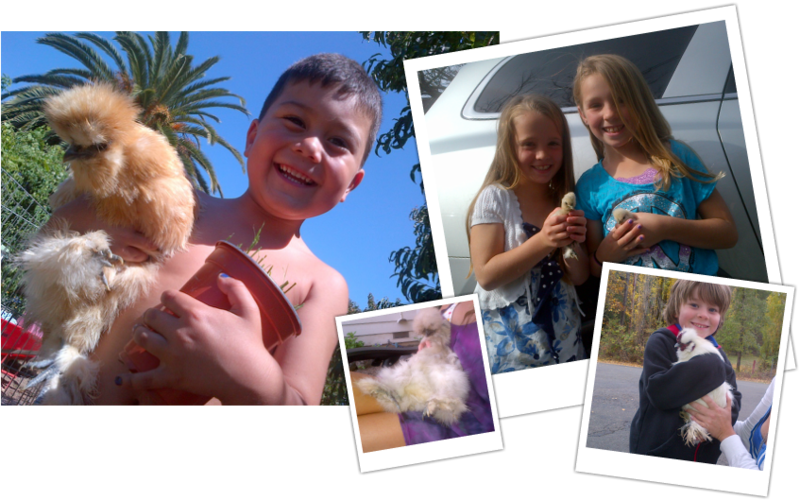 These lil'chickies are all hand-raised with love & respect. They spend their days basking in the sunshine & nights snuggled up warm n' toasty in their coops. *Bantam chickens make wonderful, huggable pets!